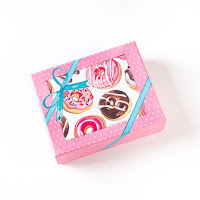 One Momma Saving Money: It is #DonutDay!!! 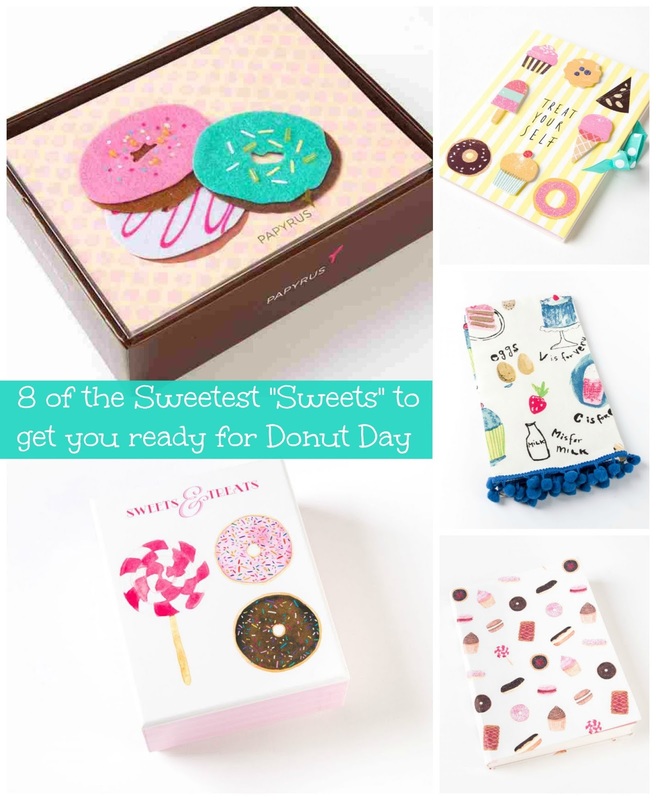 Why not celebrate with some super cute donut themed products! It is #DonutDay!!! Why not celebrate with some super cute donut themed products! For your sweet Donut Day celebrations, it is not just about eating donuts, but there are a number of super cute products to make the celebration tastier and more exciting! PAPYRUS believes that life is a celebration. They offer a fabulous selection of greeting cards, custom invitations, stationery, gift wrap, and more to add sweet sentiment to everyday. Savor each moment and commemorate every milestone with a stationery items that can translate your most heartfelt emotions. So this Donut Day, why not celebrate with some super cute stationary items and send a heartfelt note to someone! 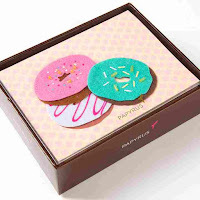 A yummy way to send a greeting, these frosted doughnuts are finished with felt and beads. Blank inside for your message. 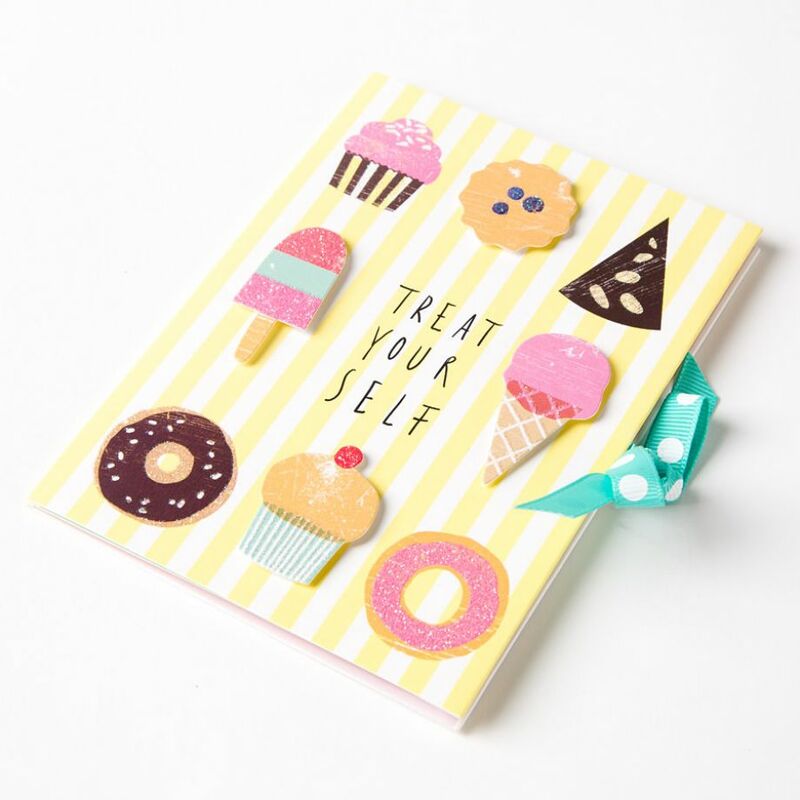 Brighten their day with one of these darling note cards. The glittery treats are sure to bring a smile to their face. 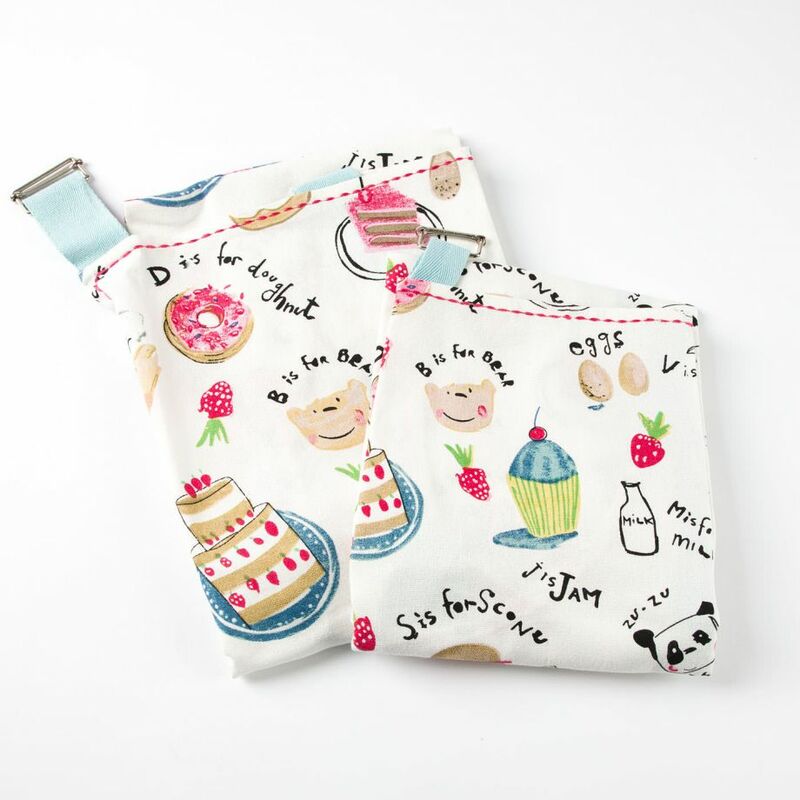 Tasty treats decorate this delightful set of aprons along with Herbie the bear and his friends. 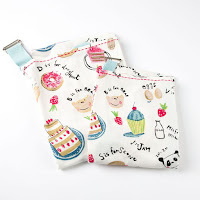 They're sure to add a fun touch to baking days with the little one. Tasty treats decorate this fun tea towel along with Herbie the bear and his friends. 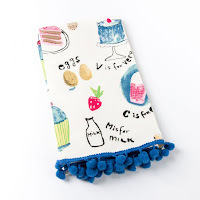 It's sure to brighten up your kitchen. 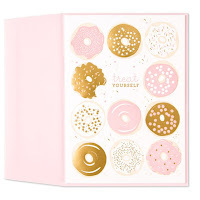 Scrumptious pink & gold foiled donuts are the highlight of this letterpress birthday card. Representing decades of heartfelt connections, Marcel Schurman embodies a sensibility all its own. A polka-dot turquoise grosgrain ribbon tie brings together this gift card holder featuring sweet treat tip-ons embellished with glitter. Great for any occasion, treat someone special! 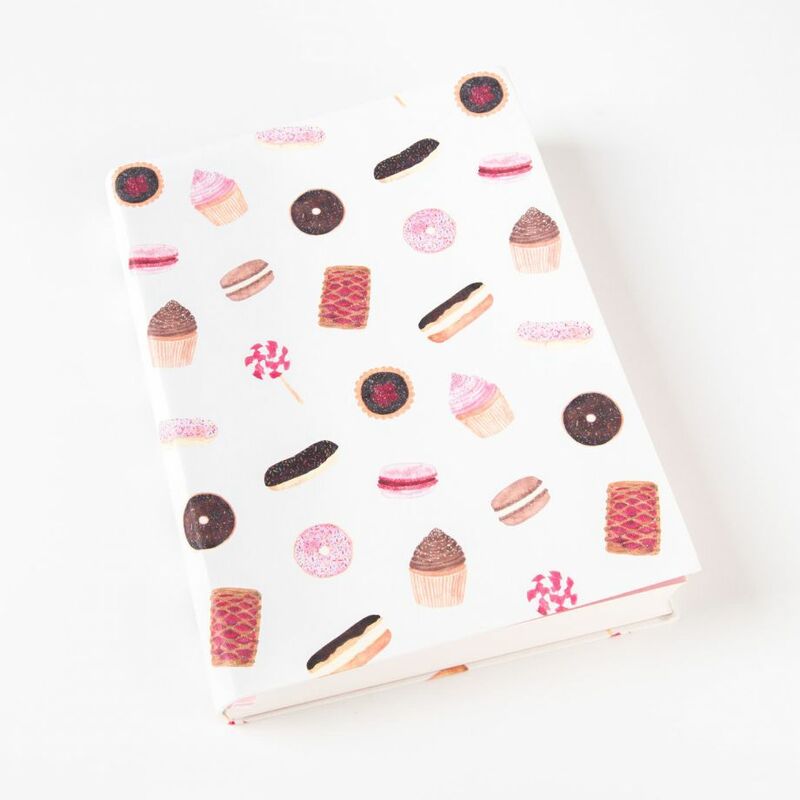 Find inspiration for your next writing project with this sweet soft-cover journal. Delightful images of tarts, donuts, and other yummy desserts decorate the cover with a pretty pink satin ribbon to mark your spot. Send a friend a sweet message of hello or thanks with this fun note card that features an array of illustrated donuts. You can shop at more than 200 PAPYRUS locations in the US and Canada as well as online at www.papyrusonline.com. 60 years and over 450 stores later, we are now united behind the Schurman Retail Group banner and operate multiple retail brands; PAPYRUS, NIQUEA.D, Paper Destiny, Carlton Cards Retail and American Greetings retail.